Mon., March 26, 2018, 5 a.m.
Today The Slice presents a transcript of an interview with Spokane’s very own Easter Marmot. You won’t believe what our furry friend had to say. The Slice: So are you trying to replace the bunny? EM: Not at all. But I believe the people of Spokane deserve a choice. The Slice: A different kind of Easter rodent? EM: They deserve an animal not quite so closely tied to images of fertility, pagan rites of spring and, well, getting it on. EM: You know. The old nyuk, nyuk, nyuk. That rabbit is all about a message that, frankly, isn’t always appropriate for children. The Slice: And a marmot is an improvement how? EM: Look, we all know what rabbits are famous for, right? But marmots, our claim to fame is being in a bad mood and chewing engine hoses. That and we’re sort of cute. The Slice: Cute but irascible? The Slice: Where do you, the Easter Marmot, figure in the religious picture? EM: I don’t tell people what to believe. The Slice: Does the Easter Bunny? EM: That rabbit is totally bought and paid for by an international consortium of candy makers and the petro/industrial high-fructose corn syrup lobby. The Slice: Who is behind the marketing of the Easter Marmot? EM: It’s early days. We’re just getting started. The Slice: What about Easter egg hunts? Would you do away with those? EM: May I remind you that rabbits do not lay eggs. A marmot could dispense chicken eggs as well as a bunny. The Slice: Except for you guys being a bit grumpy. EM: Look, kids dig us. They get a kick out of the fact marmots are not nauseatingly saccharine. They crave an animal holiday icon that will give it to them straight. 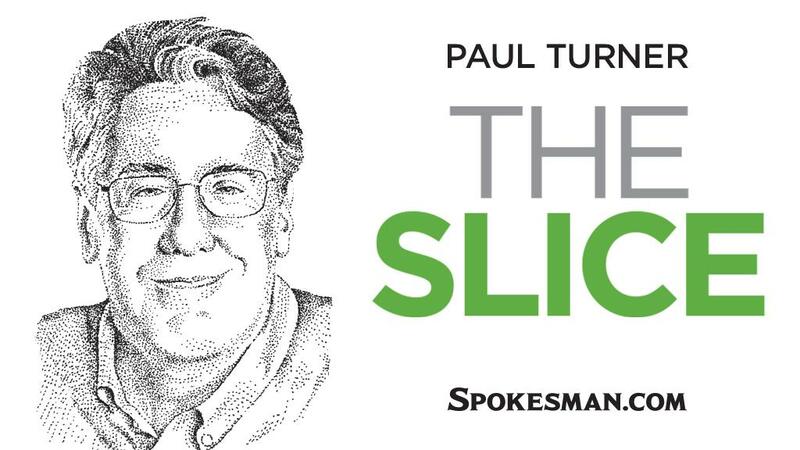 The Slice: Are marmots mentioned in the New Testament? The Slice: Uh, pretty sure I’m not. But aren’t marmots sort of a regional rodent? I mean, would the Easter Marmot’s territory be mostly restricted to the Northwest and Western Canada? The Slice: I thought you didn’t do religion. EM: Maybe just a little. Today’s Slice question: Did last winter harden your position on studded tires? Published: March 26, 2018, 5 a.m.